Smoothies can make a delicious and nutritious snack or quick meal. However, to get them at a cafe on campus can be quite costly. Plus, you have to re-work your entire schedule just to wait in line. Or worse - you end up late to class because you got through the line to pay for your drink pretty quickly, but waiting for it to be made was a whole other story. Avoid all of this (and save money!) with our Blend To Go Personal Blender in Orange. Our Blend To Go Personal Blender in Orange is perfectly sized for a college dorm room. This dorm essentials item is compact so it doesn't take up a lot of space in your college dorm room on a shelf. 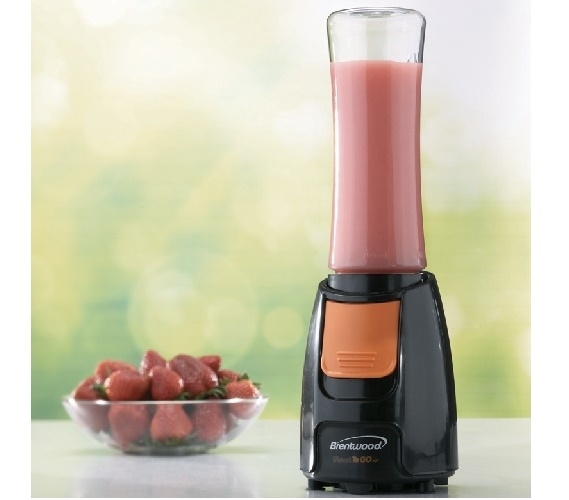 This dorm necessities item will blend up a 20 ounce smoothie for you quickly with one touch blending action so you can put what you want in the canister, blend, and go in a fraction of the time that it would take to go to the college cafe and wait in line. Plus, in a black and orange color, you can even add a bit to your dorm room decor.